Today I watched Maleficent. 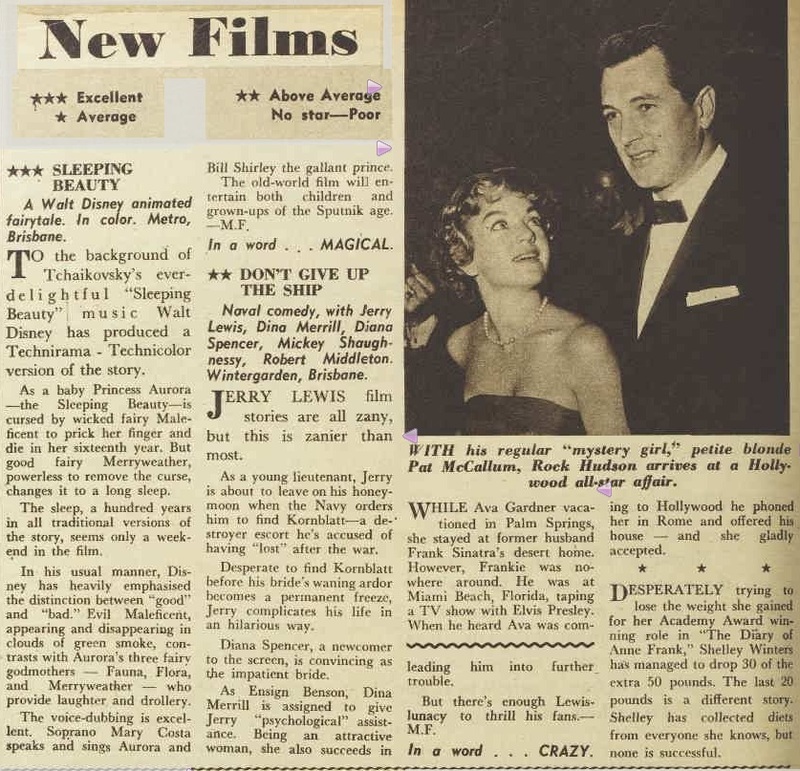 Just as The Australian Women’s Weekly rated Sleeping Beauty in 1960, I give it 3/3 stars for Excellent (article through Trove). The stories have the same haunting music of Tchaikovsky and green smoke clouds. Fauna, Flora and Merryweather are godmothers in the original movie, with a shift to being Aunties in the newer movie. Lana Del Rey’s version of “Once Upon a Dream” is childhood made decadent, do stay during the credits. New Films. (1960, May 4). The Australian Women’s Weekly (1933-1982), p. 82. There is 1 comment - Add yours? Copyright © 2014 Sonja Barfoed .